Get ready to "Move it! Move it" with the Young Australian Broadway Chorus because Madagascar Jr arrives on stage this July. Based on the ever-popular DreamWorks animated tale, Madagascar - A Musical Adventure Jr sees your character favourites Alex the Lion, Marty the Zebra, Melman the Giraffe, Gloria the Hippo and, of course, those hilarious, plotting penguins hit the Melbourne stage. 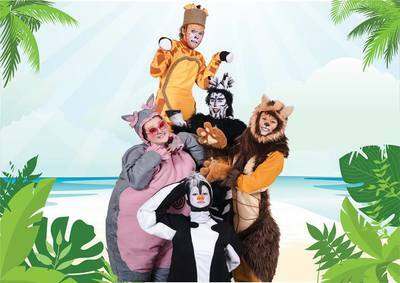 Performing at the Union Theatre in Parkville this July during the school holidays, Madagascar Jr promised to be a fun, theatrical adventure for all ages. Featuring a zoo-mongous cast of 70 young performers, Madagascar Jr follows the adventures of your child's favourite characters as they unexpectedly travel from New York City to Madagascar. The "crack-a-lackin’" bunch features a wonderful cast of young talent who wil bring all the animals onto the stage in an all-singing all-dancing extravaganza. Adapted from the DreamWorks animated film, this is a chance for young Madagascar fans to experience the magic and thrill of live theatre when their much-loved animal personalities come to life on stage right before their eyes. The YABC is a vibrant musical theatre course for young people aged 8-18, providing an exciting mix of tuition and on-stage performance. Web: www.madagascar-jr.com or book by phone: (03) 8199 8344.